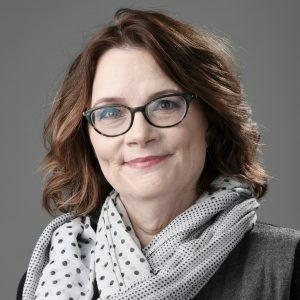 Ask The Washington Post’s chief film critic Ann Hornaday ’82 about her days at Smith, and she’ll recall stories about protests and sit-ins and marches. “It was a very politically engaged time,” she says. While a student, the government major worked tirelessly for several popular causes of the time, including protesting against nuclear proliferation and the war in El Salvador, and advocating for a segment of staff seeking equal retirement benefits. Hornaday credits the ultimate activist, Gloria Steinem ’56, for setting her on the path to a successful writing career. Fresh out of Smith, Hornaday took a job as a fact checker in the research department at Ms. magazine, and later became Steinem’s assistant. It was Steinem herself who encouraged Hornaday to pursue freelance writing. It was the mid-1980s and entertainment journalism was booming, so Hornaday found herself in high demand, writing celebrity profiles for publications like Us magazine. Here Hornaday, a 2008 finalist for the Pulitzer Prize for Criticism, talks about how she made the leap to film critic, what makes a great movie and Hollywood trends. In what way did Steinem encourage you to become a freelance writer? She had been a freelance writer, and I think she always looked back on that time of her life fondly. She received a great education in reporting, writing and meeting deadlines. Yes, all these publications needed copy: Us magazine, Premiere. They’d say, “We need a profile of Sam Neill.” I was also doing a kind of paparazzi reporting, where they would have you and a photographer stake out a certain location where celebrities went. . 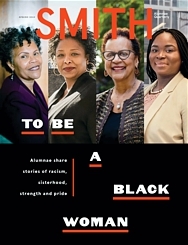 I would think, “I cannot believe, four years at Smith and I’m standing out here in front of everyone.” But I was also doing general assignment features for Working Woman, Self, the Daily News. It was just cobbling a lot of things together to make a living. How did you make the leap from freelance writer to film critic? I started writing for The New York Times, and then I was hired to be a film critic at the Austin American Statesmen, in Austin, Texas. I think they were interested in my reporting skills and felt the critical voice and acumen would come. Right before I had moved to Austin, a friend of mine, David Freedman, who had gone from being a reporter to a television critic, said, “I’m going to give you the same advice I got when I made the switch. Every time you review a movie, ask yourself three questions: What was the artist trying to achieve? Did they achieve it? Was it worth doing?” And that’s really been my philosophy in terms of how to approach this job. It makes it easier to meet the work halfway and really judge it on its own merits, rather than my personal biases. Yes, I just don’t think it should dominate. In other words, it should be in the car, but it shouldn’t be driving the car. The first thing you have to decide is what is this movie? Is it a comedy, is it a western? And then, are they trying to make a conventional version of that genre, are they trying to subvert that genre. And then, does it work? Does it work as entertainment; does it work in pushing the art form forward? How did you come to write your book, Talking Pictures: How to Watch Movies, which was published last year? A big part of my job is talking to filmmakers, so over the years I’ve gotten some wonderful insights from them about how they do their jobs and what they’re trying to achieve. The book is a collection of the wisdom that I have gained through all of those interviews. I roughly follow the production of a film and start with the screenplay. How do you evaluate screenwriting? When we say a movie is well written, most people think that means dialogue or the story has a really good twist, but it’s a lot more than that. Is there one major thing that people should keep in mind when they’re watching a film? I think sound is often overlooked. If it’s working really well, we usually don’t notice it. But it’s affecting us emotionally and giving us information in a way that is very subtle. Sometimes filmmakers think that the best sound is the “most” sound, so between the music and sound effects everything’s too loud. I really love subtle sound design. A great example of that is A Quiet Place (2018). It gives audiences a chance to appreciate how sounds create an environment and give us a different emotional story from the one portrayed on the screen. The Best Years of Our Lives (1946). It’s beautifully written, perfectly acted, gorgeously shot, gorgeously designed. The set, the music … my God. The original score is absolutely exquisite, the direction. It checks every box in terms of a well-crafted, beautiful film narrative. I was never a fan of Forrest Gump (1994). I hated the way that it portrayed political activism, especially in the 1960s, around the anti-war activism. I thought it was really reactionary and kind of insulting. I’m not a fan. I think that aggregating sites like Rotten Tomatoes and Metacritic still need us. They need something to aggregate. So, I feel like we still matter on that level. But I think the younger generation is going to YouTube for a lot of their criticism. So, I think it’s still being sort of sorted out. As a journalist I have to be neutral, but obviously my own experiences and passions and beliefs are going to inform my work. I believe transparency is the best policy. I think the people who read me consistently can accuse me of being a bleeding-heart liberal, and that’s a fair point. Then they can decide if they think that’s compromising my judgment or not, but I don’t think that it would help anything to kind of try to deny that, or to silence that voice, or to kind of take away that lens. We all come to everything—viewers and critics alike—bringing multiple lenses. Do filmmakers have a duty to consider the psycho/socio effects of what they create? I’m not sure I would use the word “duty.” I think every artist comes to terms with the world in his or her or their own way. But I do think it’s relevant and not unreasonable for viewers to bring that lens to work and to make that a part of their own consideration of whether something succeeds or fails. For instance, guns and gun violence have been a piece of cinematic grammar since the inception of the medium. I don’t categorically object to guns or violence, but I do feel that it’s reasonable to look at how it’s used. Is it gratuitous? Is it aestheticized into meaninglessness? One of my pet peeves is when guns are treated like playthings; they’re so cartoonish that the effects of gun violence are never shown. What are some trends that you see in filmmaking? Over the last 20 years there has been a significant “blockbusterization” of movies, like the superhero and spectacle movies. Now, I’m not sure. I think Hollywood is making films as much for the international box office as it is for the domestic audience. Digital technology has made it easier for people to make films, so we still have very low budget indies that people will always be able to make, because they’re resourceful and the technology is cheap. I think what’s endangered is the kind of midrange-budget movie like Michael Clayton (2007). That is the kind of movie that they used to make a lot of in the 1970s—adult drama, no explosions, just a relatively smart, sophisticated urban thriller. My education at Smith really taught me how to think critically. I didn’t go to film school, so I’m not coming at this job as a film geek or expert. I’m just really looking at it as an art form and trying to learn about its conventions and its grammar and languages, and then educate myself to be able to evaluate it intelligently. And I really do credit Smith for giving me the tools that have allowed me to do that.